Special Report: Can Malaysian industries trade up fast enough? 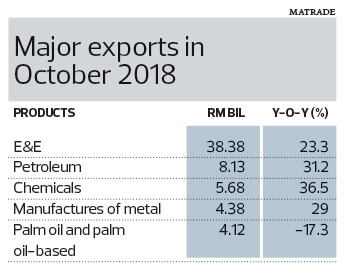 WHILE headline numbers on trade are encouraging, a closer look will reveal that Malaysia’s domestic industries are facing serious challenges at the moment. According to Malaysia External Trade Statistics (Matrade), Malaysian exports for the first 10 months of the year expanded 7.5% to RM829.89 billion with exports of manufactured goods increasing 9.9% year on year to RM695.43 billion. However, over the same period, domestic exports grew only 1% to RM660.25 billion. Our export numbers were inflated by the strong growth in re-exports, which increased 43.8% during the period to RM169.64 billion. The anaemic demand for Malaysian products aside, local manufacturers are under a lot of pressure from rising costs of manufacturing. For example, says Federation of Malaysian Manufacturers (FMM) president Datuk Soh Thian Lai, the increase in electricity tariff in July due to the imbalance cost pass-through mechanism saw the electricity cost to manufacturers grow 6%. In an environment where global trade is slowing down, what should the new government do to improve the competitiveness of Malaysian-made products in the international market? 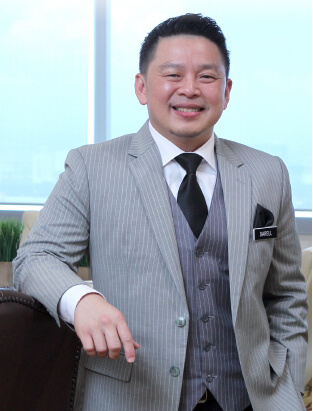 Specifically, what should new Minister of International Trade and Industry Datuk Darell Leiking do to reinvigorate Malaysia’s manufacturing sector? Soh believes free trade agreements (FTAs) are one area to look at. These will provide Malaysian manufacturers with a competitive edge over their regional rivals and build investor confidence in the country, he says, urging the government to expedite the negotiation of FTAs. “FMM is most concerned about the negative impact on Malaysia’s export competitive advantage vis-à-vis neighbouring countries like Singapore and Vietnam, which is ratifying its FTA with the EU. The bloc is also resuming negotiations with Thailand at the end of the year, and is in talks with Indonesia and the Philippines,” Soh adds. The EU is a major export market with which Malaysia has yet to establish an FTA. Negotiations on the Malaysia-EU FTA (MEUFTA) were launched in 2010 but put on hold after seven rounds in 2012 at the request of the previous government. Some of Malaysia’s peers in Southeast Asia have either signed or are close to signing their respective FTAs with the EU. Singapore did it in October while Indonesia has completed its sixth round of negotiations with the EU. When asked to comment, Leiking says the ministry is reviewing the MEUFTA negotiations and analysing the possibilities that could arise once the agreement is signed and ratified by both parties. However, the government will not rush into signing the trade agreement with the EU. “I feel it is not right if we do not even think of finding ways to resume talks with the EU. But that does not mean that we are going to rush into signing it. We heard Indonesia is going to sign it and Singapore signed it a few months back. “But each of us has a different economic context, need and strategy for our nation,” he tells The Edge in a recent interview at his office in Menara MITI in Jalan Sultan Haji Ahmad Shah in Kuala Lumpur. The EU is Malaysia’s third largest trading partner after China and Singapore. Between January and October 2018, trade with the EU expanded 7.8% year on year to RM153.31 billion. 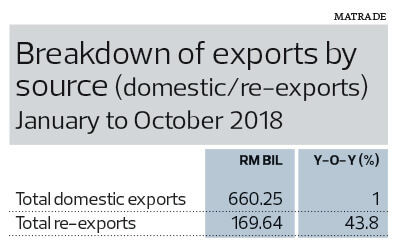 Exports grew 5.5% to RM83.14 billion, driven by higher exports of manufactured metal, chemicals and chemical products, rubber products as well as iron and steel products, while imports from the EU rose 10.7% to RM70.17 billion, according to Matrade. Besides the MEUFTA, Malaysia is also involved in multilateral FTAs, including the Comprehensive and Progressive Agreement for Trans-Pacific Partnership (CPTPP) and the Regional Comprehensive Economic Partnership (RCEP). Besides signing and ratifying FTAs, FMM also advocates the adoption of Industry 4.0 by manufacturers, especially small and medium enterprises (SMEs). Industry 4.0 will allow Malaysian SMEs to reduce their dependency on labour and increase productivity, says the association. The government has reacted positively to Industry 4.0, coming up with a policy paper called Industry4WRD to encourage manufacturers, especially the SMEs, to increase automation by employing robotics and the Internet of Things. FMM has also urged the government to focus on supporting high-tech, high-value-added investments via the upcoming Industrial Masterplan 4.0. The Second SME Master Plan too must focus on restructuring the ecosystem, filling the gaps and resolving the issues of accessibility and affordability to ensure that SMEs are ready for Industry 4.0, it says. The government is also promoting investments in high-tech sectors to increase the value of Malaysian products. In November, Nasdaq-listed Micron Technology Inc disclosed plans to invest RM1.5 billion over the next five years in building a centre of excellence for solid state drive assembly and testing in Penang. Malaysia made its first foray into high-tech industry through Perusahaan Otomobil Nasional Sdn Bhd (Proton) and Perusahaan Otomobil Kedua Sdn Bhd (Perodua). However, after pumping billions of ringgit into the homegrown automotive industry, it is producing only 500,000 vehicles a year compared with Thailand’s two million and Indonesia’s 1.2 million. Nevertheless, Leiking says Malaysia is already an automotive hub in the region due to the presence of the assembly plants of foreign marques such as MINI and Mercedes-Benz in the country, as well as auto parts manufacturers. Malaysia is now flirting with the idea of developing an indigenous automotive project. The third national car project is touted as one way for Malaysia to reinvigorate its manufacturing industry and catapult the country into the ranks of developed economies. When asked about the project, Leiking declines to comment, saying it is not in his portfolio. He also declines to comment on the National Automotive Policy and its contents. The NAP, which will be unveiled in the first quarter of 2019, may offer some answers as to the direction of the automotive industry and how the third national car will fit into it. But until then, Malaysians can only guess at whether the new national car project will focus on internal combustion engines, the tried-and-tested hybrid technology or electric cars. As for growing trade, it is best to ensure the FTAs that Malaysia plans to sign are beneficial to the country even as local businesses, manufacturers and industries race against time as their peers in other countries become more competitive or move higher up the value chain.